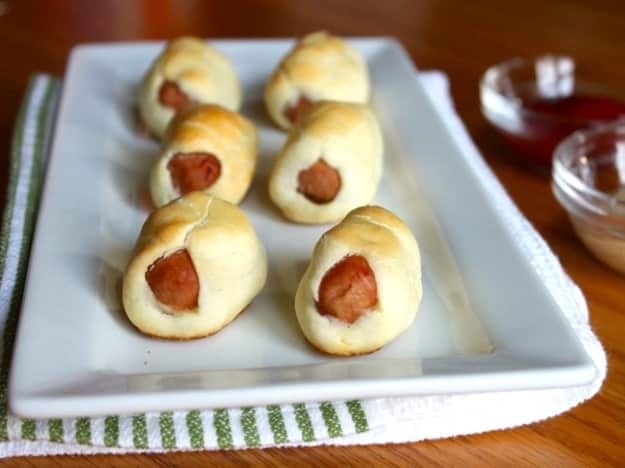 Gluten-free pigs in a blanket make a great party-time snack. 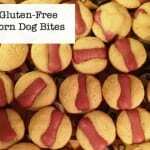 To make, wrap a simple gluten-free pastry around a mini hot dog or cocktail weiner. 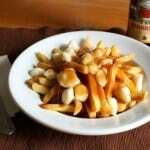 Bake for 15 minutes and serve with ketchup, mustard, or your favorite barbecue sauce. Ah, life on the gluten-free diet. Interesting, isn’t it? The other day, I lamented the fact that while most people can pop over to the bakery when they feel like a doughnut, we have to make a batch or seek out a special brand that’s not sold at all stores. This is true for all of our baked goods but it seems me bother me more when it’s a silly food, like Pigs in a Blanket. 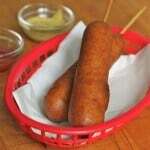 If you aren’t on a special diet, you can pick up a tube of dough, a package of cocktail franks and call it a day. For gluten-free folks, you need to make the dough. This isn’t the end of the world, of course, but it does require a bit more work. 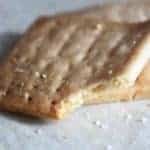 Since we can’t (yet) buy gluten-free crescent dough in a tube; we need to make a simple gluten-free pastry. Think of this dough like a soft pie dough. You start by cutting butter (or shortening) into some gluten-free flour. Then you add milk and an egg and stir everything together until a soft dough forms. To encase the cocktail franks in pastry, I like to grab a small ball of dough, flatten it between my fingers, and wrap it around the sausage. I think it’s easier than rolling out the dough, cutting it out, and wrapping. Don’t worry about the pastry looking perfect. This dough is really forgiving. As long as you get it around the cocktail franks, you’re good. If you want to make life even easier, consider making up a batch and freezing it. This is what I tend to do. 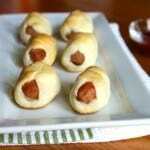 One night, when you have a little extra time, make up a batch of Pigs in a Blanket but don’t bake them. After wrapping the pastry around the cocktail weiner, place them on a baking sheet and freeze for an hour or so. Then transfer the sausages into a plastic freezer bag. When you’re ready to bake, set the Pigs in a Blanket on a parchment-lined baking sheet and allow to thaw for about 20 minutes. Bake as directed. The Pigs might take a little longer to bake. Check them after 15 minutes and bake until golden brown. Using a wooden spoon, stir in 1/2 cup of the milk and 1 egg. Blend until a dough forms. If the dough is dry and won’t hold together, add a splash (about 2 tablespoon) more milk until dough is firm and forms a ball when rounded between your palms. Pinch off little balls of dough, about 1 generous teaspoon each. Press the dough evenly around a cocktail wiener to coat the wiener. Leave ends of the wiener exposed. Don’t worry about the dough jacket being perfect. You just want to encase the sausage in dough. Place on the prepared pan. Repeat until all the dough and wieners are used.